Buy this item and earn 1,525 ClubPoints. 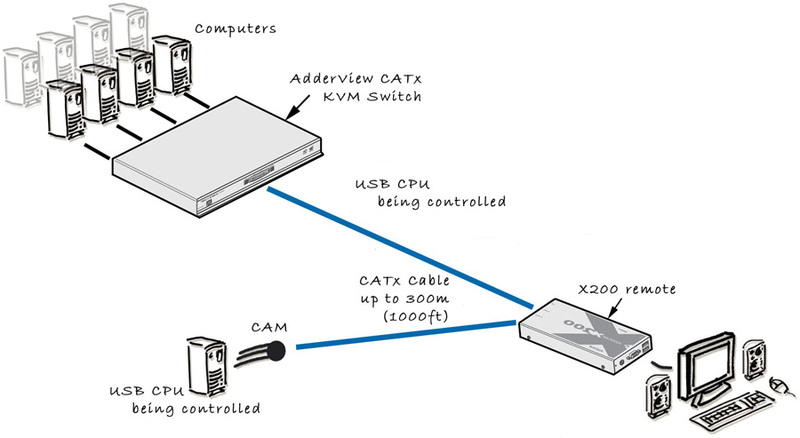 ADDERView® CATx 4000 switch is a high density, small form factor KVM product providing 4 simultaneous users local and remote access to control of up to 16 multi-platform servers via CATx cabling. A combination of USB or PS/2 console support with a full KVM feature set ensure high-performance switching of keybord/mouse, video and audio signals ideal for server room and desktop environments. Any type of server can be connected to by selecting a platform-specific Computer Access Modules (CAM). AdderView CATx 4000 is a secure, KVM via CATx (x = 5, 5e, 6, 7) switch that provides four (4) concurrent users (1 local PS/2 or USB; 4 extended over CAT-x) with BIOS-level control of up to 16 multi-platform (PS/2, USB, Sun) servers. A "plug-and-play" 1U appliance, AdderView CATx 4000 is a completely self-contained system that installs in minutes, combining high security, flexibility, integrated remote power control, faultless quality video and optional CD quality audio. Extended users in the building can be located up to 1000 feet (300m) away from the servers, connected to AdderView CATx 4000 via CATx (x = 5, 5e, 6), using AdderView CATx 4000 User Stations which may optionally support audio and skew compensation. AdderView CATx 4000 series provides exceptionally high video performance to local and remote users alike, supporting up to 1920x1200 resolutions with DDC emulation. 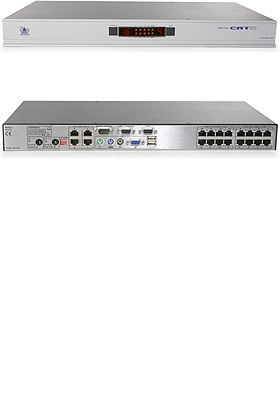 AdderView CATx 4000 switches provide CD quality (44.1 kHz, 16-bit resolution) digital stereo audio to users when optional audio-enabled Computer Access Modules (CAMs) are used. Stereo audio is transferred through the switch digitally so that the sound fidelity is maintained. Audio is supported both at the local console and at the CAT-x extended consoles. 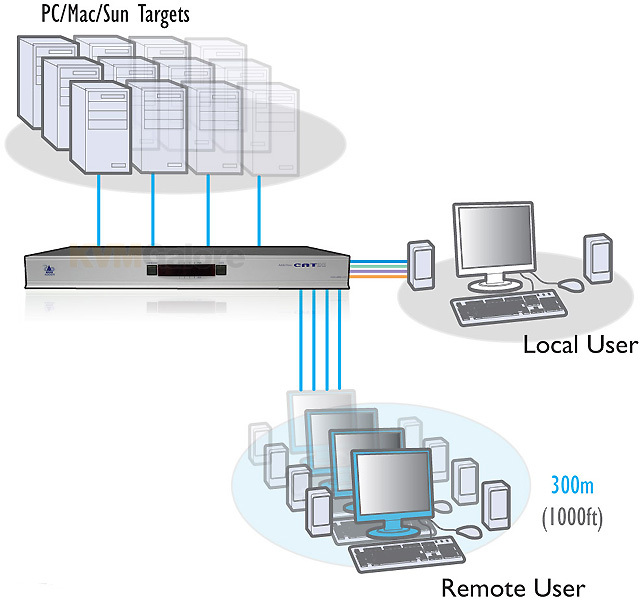 AdderView CATx 4000 series supports PS/2, USB and Sun servers. Country code reporting, DDC and keyboard and mouse emulation ensure faultless operation. Any PS/2 or USB style keyboard and mouse may be used to control AdderView CATx 4000 series. Flash upgradeable CAMs are available for PS/2, USB and Sun keyboard and mouse support with optional audio, supporting a distance of up to 150 feet between servers and AdderView CATx 4000 switch. 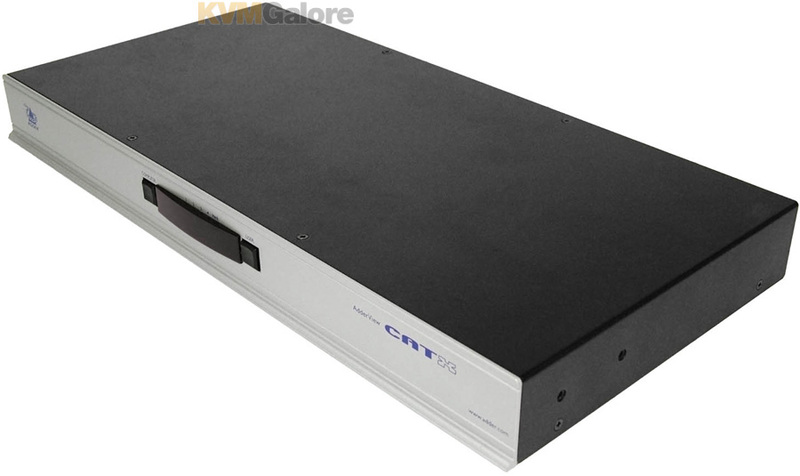 All AdderView CATx 4000 series units are equipped to support two (2) external power supply . While shipping with one (1) external IEC power supply, a secondary optional power supply may be fitted to provide power supply redundancy. This, for example, enables the primary power supply to be connected to the main power, while the secondary power supply is connected to a UPS. AdderView CATx 4000 is easily expanded to support more servers, using CAT-x cable cascade connections with simple user intuitive set up. Listed below are additional products to consider which are compatible with AdderView CATx 4000, 16-Ports. These items may be required to complete your system.